When summertime comes around, families are often faced with a dilemma about how to keep their little ones busy. Whether you work during the day or simply want your child to do something other than sit inside glued to an electronic device, day camp can be the best solution. In fact, summer day camps in Pembroke Pines offer a surprising array of benefits for kids. Here is a look at some of the rewards your child can reap by signing up for summer camp. Summer day camp helps kids build social skills. Summer day camp provides a unique social situation for kids. Often, going to day camp means meeting and bonding with other children that aren’t in their usual class. That means that they have to go out of their way to make and foster connections, learning the negative outcomes of choosing the wrong group of friends or ostracizing other campers. As day campers are making friends, they also must navigate the camp environment on their own and figure out how to get their needs met without being surrounded by familiar faces. Summer day camp prevents brain drain. 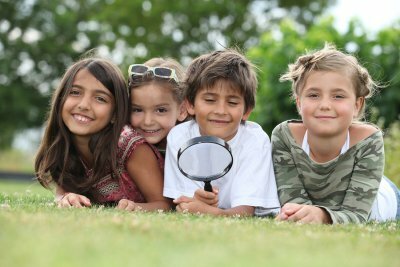 If the last day of school is the first day your child starts forgetting everything he or she learns, the summer day camp could be the solution you’re looking for. Day camp doesn’t resemble school, but mixed in with all of the fun are lessons to help keep your child’s brain engaged and skills up. Your child won’t know that he or she is really learning, but you’ll see the benefits when the new school year begins. Summer day camp keeps kids active. If you’re constantly trying to push your child to get outside and play, let summer day camp help you make sure your child gets all that important activity into his or her day. You can count on fun outdoor activities being a central part of camp, which will help your child stay physically healthy and strong while encouraging good habits that can last a lifetime.